As a Simple Flying reporter, I’ve been at Heathrow three times in as many days. On Tuesday I flew out to Toulouse, returning yesterday. 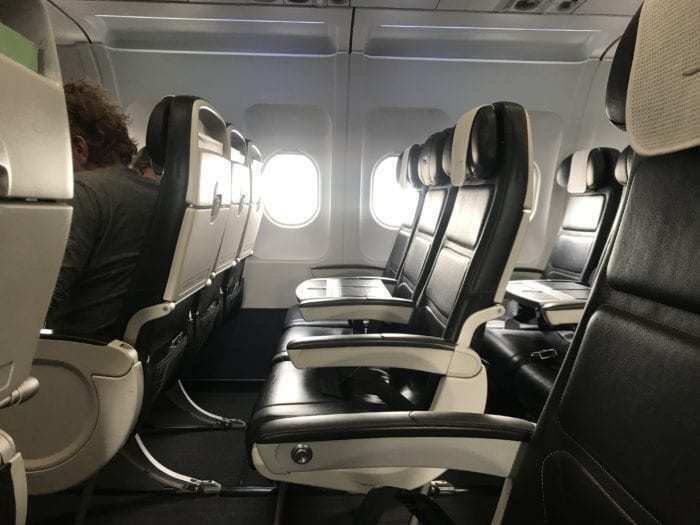 As both legs were with British Airways, I flew one leg in Club Europe, and the other in Euro Traveller in order to review the two cabins for Simple Flying readers. I flew to Toulouse to report on the delivery of ANA’s first A380. As such, I flew out on BA378 on Tuesday. This was an A321 service departing Heathrow at 13:35 and arriving in Toulouse at 16:25. The flight actually departed late at 13:54, but arrived 15 minutes early at 16:10. This flight was flown in Club Europe on an A321. 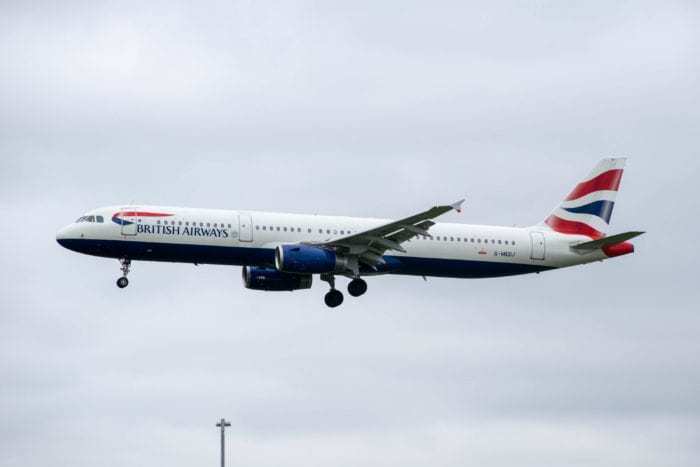 The return journey was flown in Euro Traveller aboard BA379. This was operated between Toulouse and London, utilising an A320 with Sharklets. The flight was scheduled to depart at 17:10 and indeed managed to depart on time. However, the flight landed significantly ahead of schedule. In fact, it landed 25 minutes early at 17:40. Group 4 & 5 – All other passengers. Being in Club Europe meant that I was one of the first people to board the flight. Interestingly, as the flight was almost full, British Airways used the lure of preboarding to encourage passengers to gate check their bags. As such, these passengers boarded the aircraft before Group 1. Thankfully, however, as Club Europe is spacious with a limited number of seats, there is no rush to secure space. At my seat I was offered a “hot” towel; however it felt more like it had just fallen out of the sun. On the return flight, I was allocated Group 4 as a consequence of travelling in Euro Traveller. Thankfully this had no impact on me, as I was one of the last passengers to board the aircraft following traffic en route to the airport. I was even able to find enough space in an overhead locker to cram the bulkier of my two bags. In Club Europe passengers are provided with the exact same seat as Euro Traveller passengers. These are all laid out in a 3-3 configuration, however, in Club Europe, the middle seat is replaced by a table. As such, every Club Europe seat is either a Window or Aisle seat. 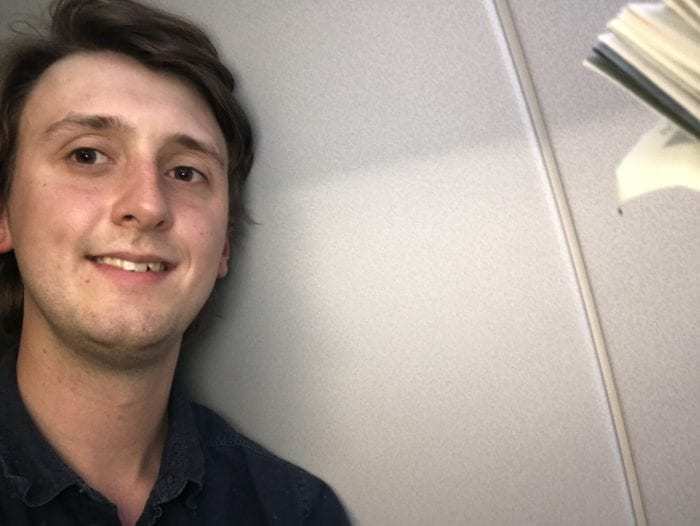 I was sat in 2A, a window seat with 30″ of pitch. 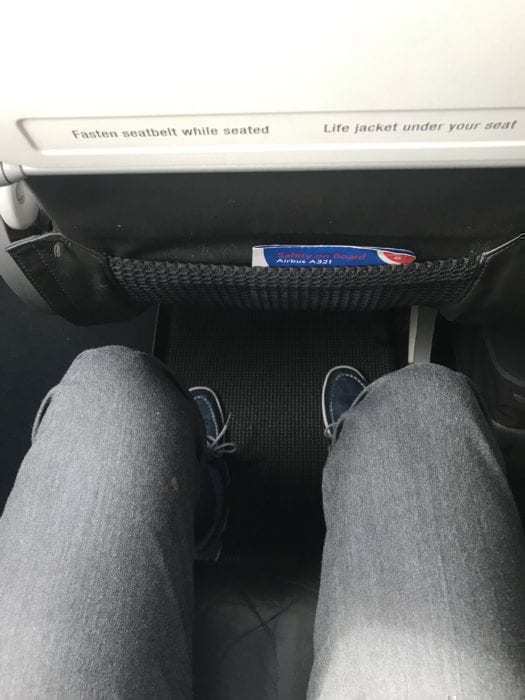 I had ample leg room on the flight and was able to store my bag under the middle seat in front, meaning my foot area was completely clear. The return in Euro Traveller was a very different story. While the seat pitch on the A320 is generally equal to that of the A321, I discovered that this was not so in row 30. But this wasn’t the worst part of my seat. Seat 3oA has no window. As such, I spent the duration of the flight blissfully unaware of the outside world. This was a slightly claustrophobic experience as I was surrounded by walls on two sides. However, the worst part was the turbulent departure. At the rear of the aircraft, passengers are furthest from the aircraft’s centre of gravity, meaning that every bump is amplified. When this is tied in with the lack of outside awareness, the experience is unpleasant, to say the least. Additionally, British Airways confirmed that row 30 has 29 inches of pitch. The inflight service on British Airways varies wildly depending on your cabin. This is mostly driven by the price difference between the two cabins. In Club Europe catering is complimentary, and I was offered a choice of dishes. I opted for the “Shaved Scottish roast beef on a tartar cream with rocket, tomato and Parmesan”. While this was delicious, it was a meal with very little substance. For dessert, I received a “Do & Co’s passion-fruit panna cotta”, which turned out to be the highlight of the trip. Drinks wise, I was able to have a complimentary alcoholic drink and a coffee. I requested a second coffee approximately 20 minutes before landing, and the stewardess went out of her way to brew a whole new pot for me. Again, the service in Euro Traveller differed substantially, however, so too did the ticket price. 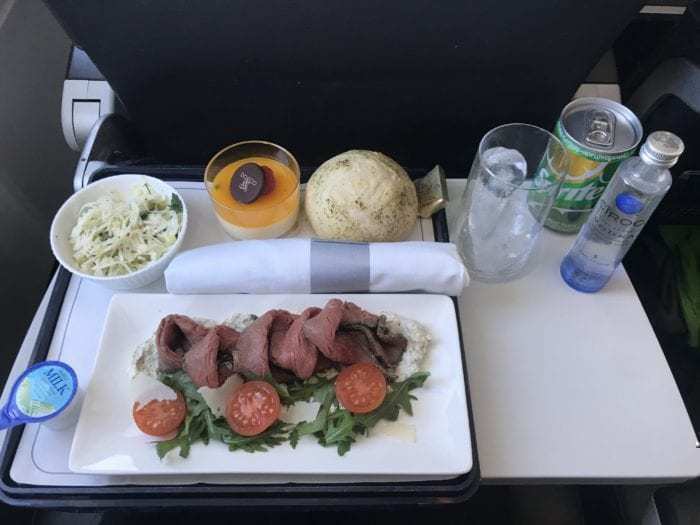 No complimentary refreshments are offered in the economy cabin, meaning all passengers must buy refreshments from the onboard menu. 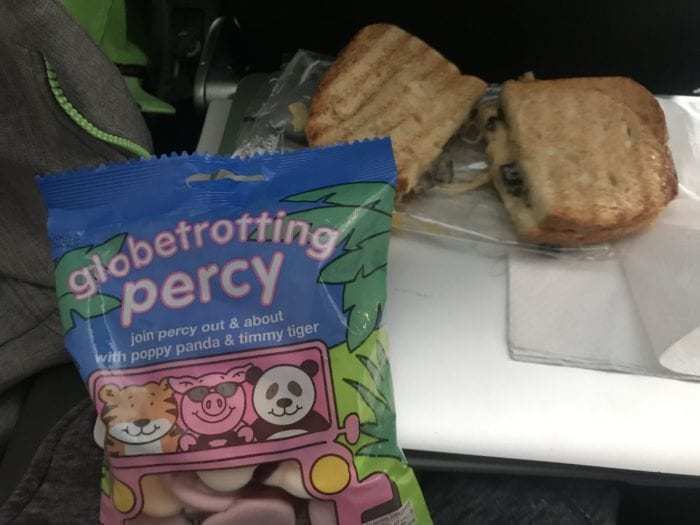 I opted for the Cheese and Mushroom Toastie and a packet of Percy Pigs, setting me back around seven pounds. Although these were suitably tasty, not everyone had the option. The service began at the front of the cabin, then the back of the cabin. A fellow journalist in row 20 was only able to buy a brownie as the food had run out by the time they got to him. On arrival at Toulouse, I was one of the first passengers off of the aircraft. This was as there were only 5 passengers ahead of me. The process was fairly quick and meant I didn’t need to queue for passport control. However, on arrival, it took 10 minutes from when the seatbelt sign was switched off, to stepping off of the aircraft. This was due to the fact that British Airways only deplane from the front at Heathrow. Overall, Club Europe was a far superior product, however, this is to be expected to the difference in ticket price. A lot of people dislike the fact that the seat is the same, however, the food and service is nice. On balance, however, despite this, I would still likely only opt to travel in Club Europe in order to accumulate additional frequent flyer points. What is your opinion of Club Europe vs Euro Traveller? Let us know in the comments down below! I think that a significant difference with Cub Europe is access to dedicated Club check in -fast track security and Lounge at T5 in particular. worthy of inclusion in comparison? Hey Angus, I completely agree with you, however, in this article, I am purely comparing the cabins as it was on the same route but in different directions. Well,it makes sense that if the ticket price is higher the Club Europe service is higher than the Euro Traveller’s one.